This visit is now fully booked. Please write to canadarome@gmail.com, attn. Cindi Emond, to be put on a waiting list. Once again, Cindi Emond, our "CCR Vatican Specialist," has organized an exclusive visit to a fascinating site within the Vatican City. Thanks to the kind patronage of the Ambassador of Canada to the Holy See, Madam Anne Leahy, we will be admitted to the archeological excavations of the Via Triumphalis Necropolis, which is currently closed to the general public. The Vatican Museums are graciously offering this tour to us in recognition of the role of the Canadian Patrons; this benefit is reflected in the special low price of this event for members in good standing. When: Thursday, January 26, 2012; group to enter gates at 9:45, visit starts at 10 a.m. Deadline: bookings by Tuesday, January 24, 9 a.m. Guides: Dott. Spinola and Dott.ssa Valeri, who are in charge of the excavation project. N.B. They have advised us that work is still being done and consequently everyone should wear comfortable shoes. 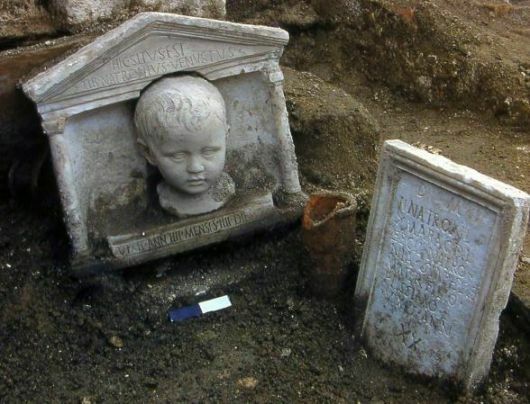 Fortuitously discovered in 2003 during works to build the Santa Rosa parking lot, inside the Vatican City, the Via Triumphalis necropolis is a precious addition to archeological understanding of Roman Imperial burial rites, especially for the lower and middle classes, in addition to those of the very rich. 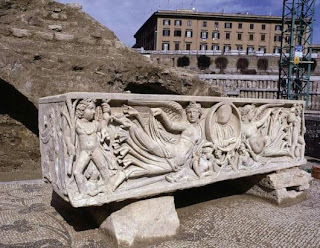 The Via Triumphalis linked Rome with the Etruscan city of Veio and was given its name due to the triumphal parades that took place along it. Called “Little Pompei” by some enthusiasts, this highly-regarded site includes 250 tombs, in the space of just 500 square meters, and the assortment of sarcophagi, tombstones, engravings, sculptures, stelae, and altars is astounding. 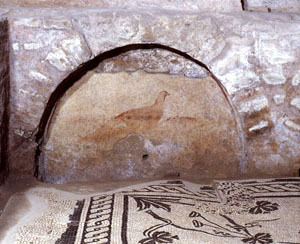 Visitors can directly see the context of these items because, after having been restored, they were returned to the tomb locations in which they were discovered instead of being put in a separate museum building. This creates an innovative, organic necropolis-museum. Many of the tombs were discovered in an excellent state of preservation and can be dated to the Augustan age (27 B.C. -14 A.D.) and the age of Constantine (306-337 A.D.). Some buildings have frescoes and stuccoes on their walls and there are a number of interesting mosaic floors. See this 2009 video for a preview of this exciting site.